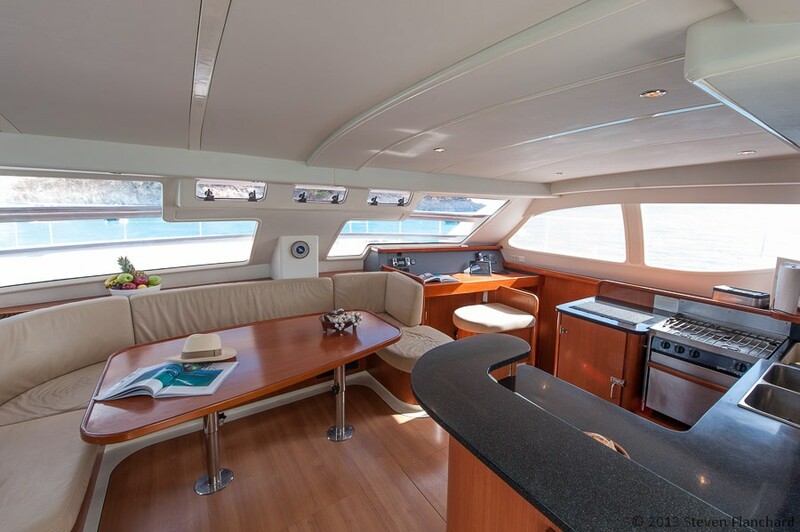 In the saloon, large windows provide panoramic views and flood the space in natural light. 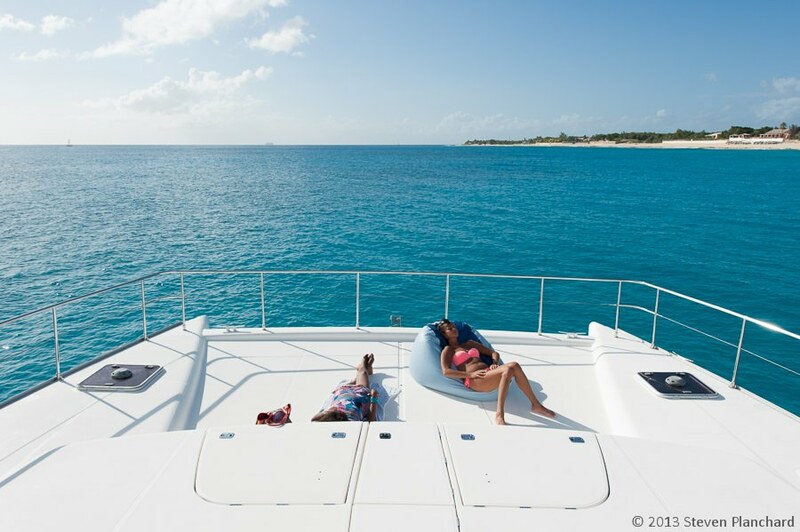 Quality fabrics and furnishings and light wild cherry wood finishes have a nautical cheer. 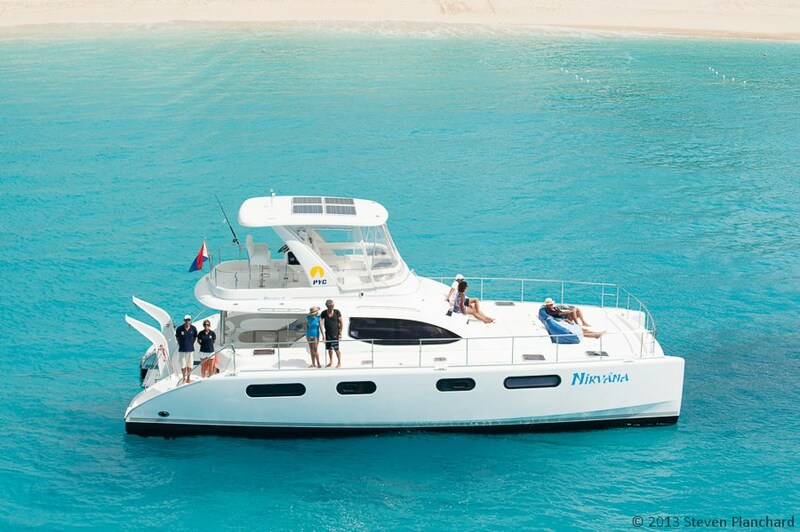 Nirvana is fully air conditioned and opening hatches add to the comfort of the interior. 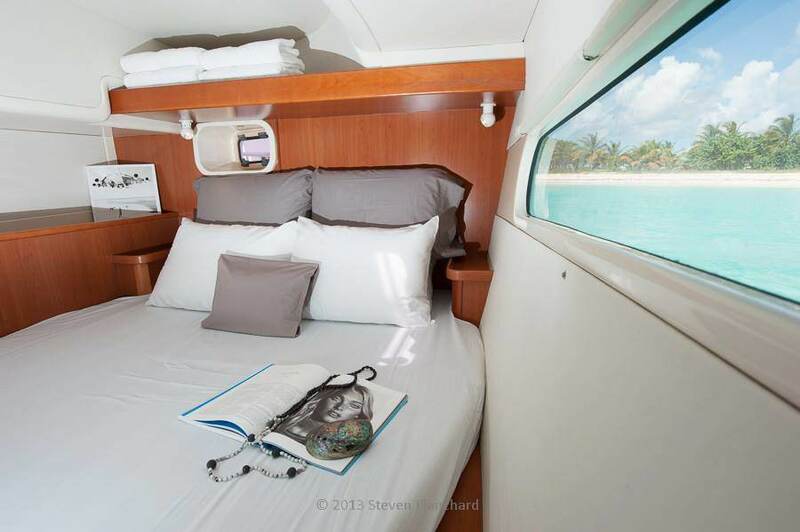 Guest accommodations aboard Nirvana are in four double cabins, each with private shower and toilette. 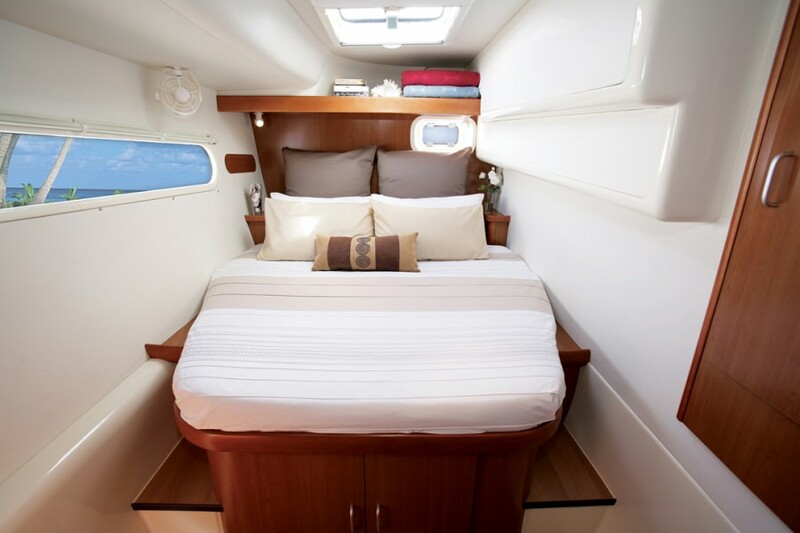 Each guest cabin is well ventilated and features plenty of storage and excellent lighting. 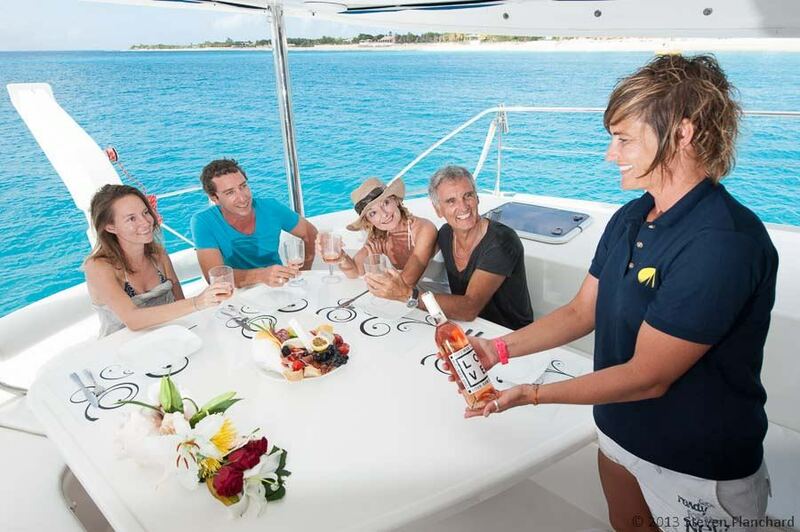 Nirvana and her acclaimed crew will deliver the charter experience of a lifetime. Her credentials are top-notch: In 2013 the FIFA World Cup Trophy was scheduled to visit the island of Montserrat as part of its 2013 Coca-Cola World Cup Tour. When the group carrying the trophy realized the runway was too short for their plane, they chartered Nirvana to sail them and the highly revered 18k gold trophy to their destination. 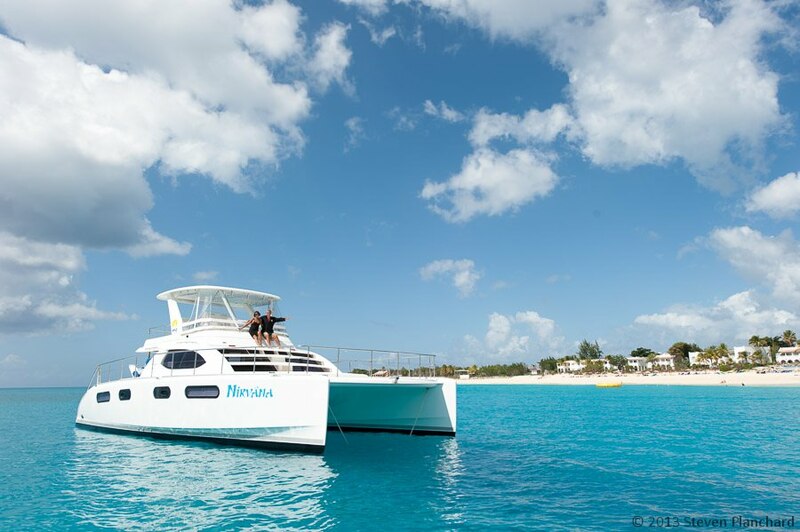 Aboard Nirvana you can cruise from port to port exploring the art, history, culture and cuisine of the Caribbean. 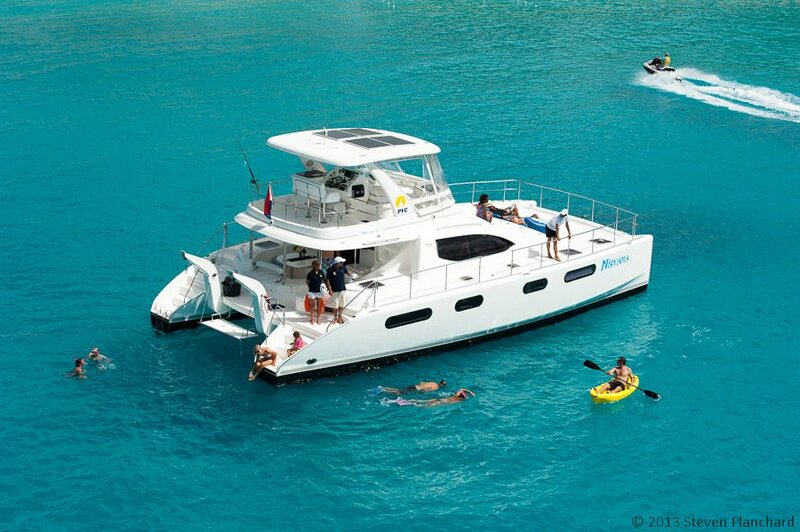 Anchor in pristine coves off living reefs for unsurpassed snorkeling, jump on water skis for fast paced watersports fun, plunge off the deck for a leisurely swim in crystal clear waters that are warm year round. 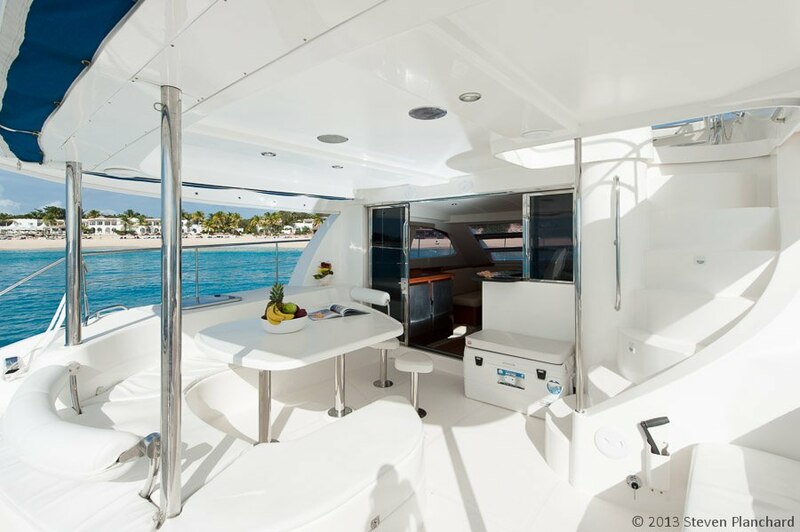 Whatever your passions, this elegant charter yacht will transport you in style and comfort.